all the seats filled with keen, crafty kids! 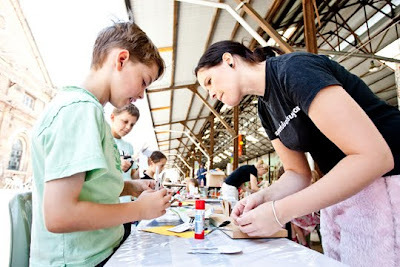 The sunday before last was the final Eveleigh artisan's market before christmas and as I stated in previous blogs, christmas workshops were arranged for kids and "big kids" to get involved in crafting and creating christmas goodies! 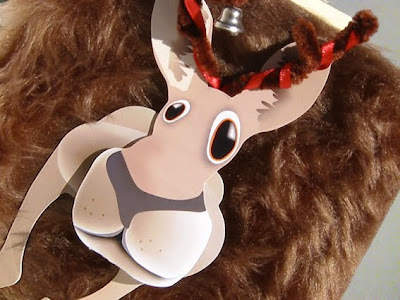 I ran the christmas card making workshop, making the twospoonfulsofsugar kangaroos and koalas and we dressed them up in santa hats and antlers. 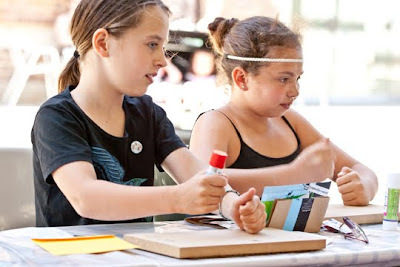 I got to the workshop area, and found all the seats filled with keen, crafty kids..., so we got straight in there, cutting, gluing, folding, smiling, getting messy...it was so much fun! 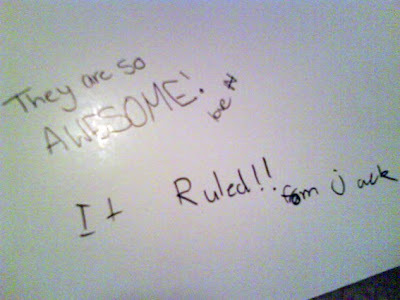 I got them to sign one of the giant Twospoonfulsofsugar cards and heres what a couple of them said! 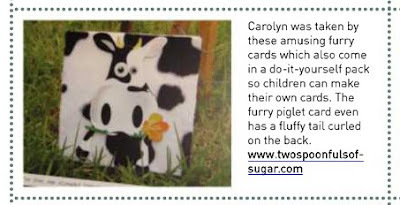 PS: Twospoonfulsofsugar Make-Me children's craft kits are a fun activity for the school holidays, your child can make a card to give away, or turn it into a story book, write a story about there animal & keep it on there bookshelf! 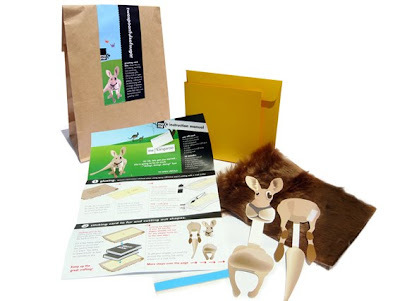 Make-me kits are available in many different animal characters i.e, cow, duck, frog, koala, pig, dog, horse....and more..all are available to be purchased online @ our fully secure online shopping store Twospoonfulsofsugar.com using Paypal's facilities. 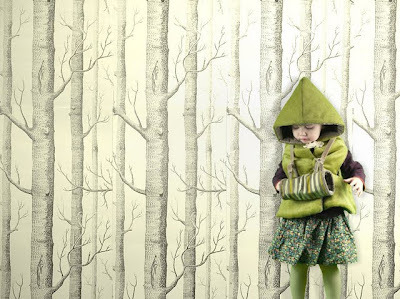 How adorable is this little girls "little miss green hood" storybook reversible cape (tutorial) by Grosgrain! I stumbled across it today, on my blogging/surfing/ getting inspired mission and I so wanted to share this cute little number with you all! I don't have a child myself, but g-wiss if i had one, they would be defiantly getting one of these for christmas for sure, Theres even the little place at the front to keep all your collected treasures you find while your exploring! 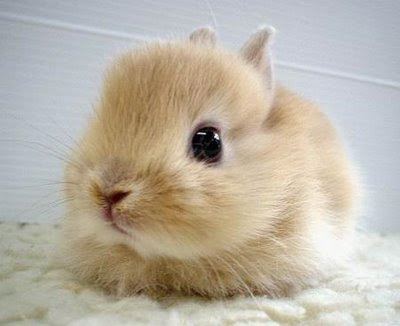 So, so cute. 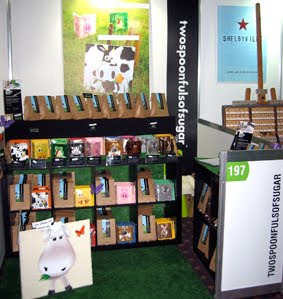 Last weekend we happliy donated a few Twospoonfulsofsugar goodie bags to the Sydney JETAA association christmas end of year function and the Australian Business Women's network (ABN red affair event)! Sydney JETAA plays a major role in a wide range of Japan-related activities. Working with the Consulate-General of Japan and the Council of Local Authorities for International Relations (CLAIR), we promote and foster cultural exchange between Australia and Japan, conduct orientation sessions for new JET Programme participants prior to their departure for Japan, and provide support to recently returned JETs. The Australian Businesswomen's Network (ABN) teaches women skills to start, manage and grow their business. ABN inspires women in the workplace to enhance their career paths. The ABN connects women with peers and role models so that they can be inspired by each other. 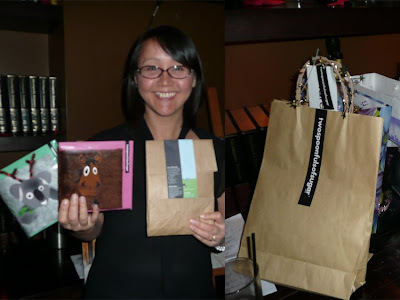 Congratulations to Yvette Vignando of HappyChild, who won the goodie bag at the ABN red affair event! so much choice this weekend! This weekend there is so much (creative, crafting, inspirational) things going on in Sydney well Eveleigh, with Finders Keepers markets on Friday and Saturday at CarriageWorks. Then on Sunday opposite CarriageWorks the monthly Eveleigh Artisans' Market which is the last market before christmas, they have decided to "christmas" it up and celebrate an australian made christmas with christmas crafting workshops, santa... etc "Eveleigh Market is championing little and big Ozzies to get out and discover their inner creative talent, and the talent in their neighbourhood for gift giving this Christmas, making it an Australian Made Christmas." We are very spoilt for choice! 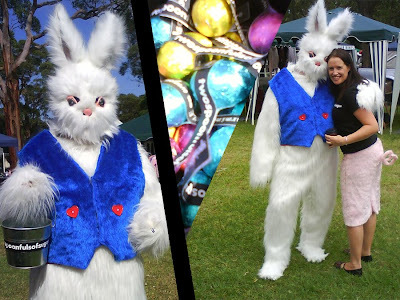 So "MY" plan is to head to Finders Keepers on Friday night with a few buddies.... and on Sunday share some smiles as Twospoonfulsofsugar will have a stall at the Eveleigh Artisans' Market. 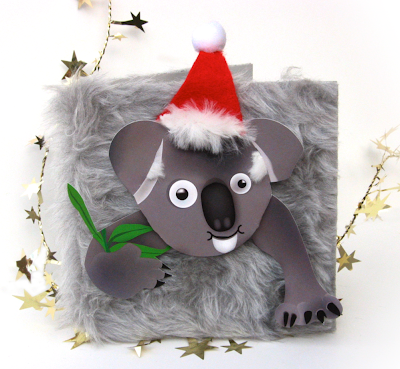 At 11am joining in the fun of an australian made christmas, I (sheryl) will be running a "special" australian animal christmas card making workshop. It's going to be so much fun, if I do say so myself! So keep an eye out for me, as I will be dressed in pig pants and a Santa Hat! Heehee! Its gonna be fun, fun, fun! I have always believed in the importance of creativity in ones life even from an early age, I think it truly does shape the people we are or turn out to be. Creativity teaches you so many things; it connects you with others, expresses your feelings, engages you to learn, react and make decisions, to dream! Encouraging and accepting creativity into our lives the more healthier and happier we will be. We seem to be living in an information age and most of us use screens and gadgets to communicate with and not human beings or nature. Interesting isn't it. Think about it for a minute.... the amount of time you spend at your desk/ in front of your computer, reading your iphone? Its not that I disagree with these things, as a graphic designer I too use them, I just want to make people aware that taking the time out to enjoy your creative side, to day dream, think out side the box... is important and like exercise is also part of having a healthy balanced life. I think it is important also that our - your children - the great minds of our future are encouraged and are aware of this importance of creativity and their own self expression. Through creative self expression you can gage a lot into the mind of that person. I just wanted to share this with you, and hope that it does inspire, trigger your imagination or welcome the importance of creativity into your and your families life's. 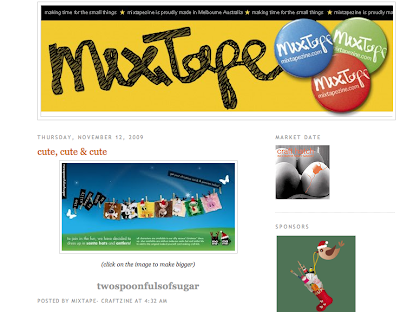 look what i stumbled across...featured on mixtapezine blog! As you know the christmas festive "silly season" is upon us, so I wanted to share with you Twospoonfulsofsugar's christmas dress-up collection. They are already up online! 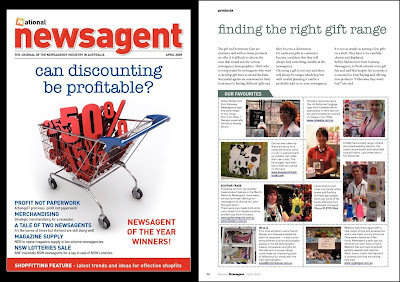 So you can start shopping straight away! Had a fantastic day at Eveleigh Art Markets on Sunday - a big hit were the guys dressed up with antlers and santa hats! What a fun day! It was even better to be side by side next door to 3 other Brown Owls! 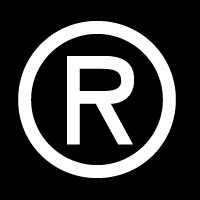 Twospoonfulsofsugar is officially a registered trademark! Get ready! The guys are getting dressed up for christmas! 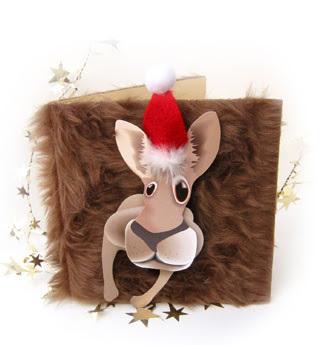 I'm very excited to show you a sneak preview of the adorable Fritz the Dog and Mr Kola the Koala dressed up in Santa Hats and Dauwng the Kanagaroo dressed up in his reindeer Antlers. 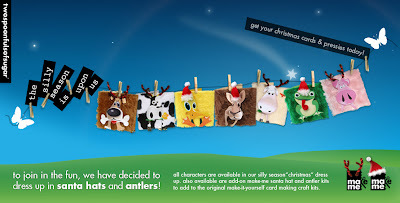 This Christmas you will be able to purchase all Twospoonfulsofsugar characters in either a Santa Hat or Antlers for christmas. Also! 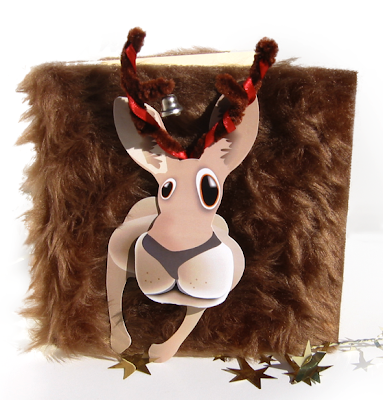 Santa Hat and Antler makeme kits can be brought to be added to Twospoonfulsofsugar's original Make-me Craft kits, if your wanting to make a card yourself for your friends and family. I am hoping to have them live to purchase on my website in the coming weeks...also on Twospoonfulsofsugar Etsy store...Keep an eye out on my blog here though, as I will be blogging on the christmas collection once live! 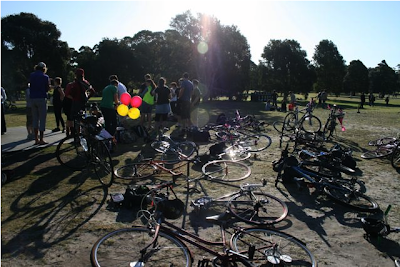 Yesterday, I grabbed a few friends and had a very adventurous day on our bikes doing the 'we brake for cake' scavenger hunt organised by Rocket fuel. What an awesome idea and day! A full on race cycling all over Sydney...from Paddington to Milsons Point to Newtown (my team and I missed out Newtown) as we ran out of time.... G wiss exhausting, but lots of fun and giggles and plenty of Toots! Whoops. Check out the pics and more details about the event on Rocketfuels blog! Recently I was asked by Living Creatively to design a project for them. 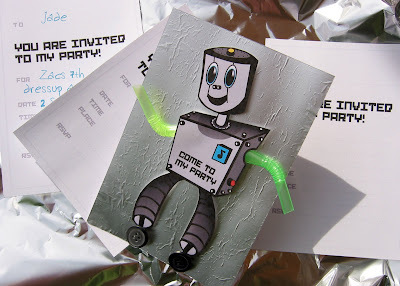 I have a thing for Robots at the moment - so I decided to design some Do-It-Yourself R-O-B-O-T party invites. I thought a robot party would be so much fun, getting all dressed-up - covering yourself in silver face pant and turning an old cardboard box into your robot body by cutting holes out for your body and arms then doing the robot dance moves to some funky tunes... and wouldn't it be great to use oil cans for drink containers (ones that haven't been used before of course), Tin cans to serve chips and lollies, cheese graters with a candle inside for mood lighting, silver balloons...My mind is filled with so many ideas..
OK...Back to the party invites.... so, this is Turn-up the robot, he loves party's and dancing – He got his name because Turn-up likes to turn up the music, jump around and dance with his friends! You can move his arms so he looks like he is doing a Robot dance too! Here is the link to the FREE project "o) Enjoy! Fun quotes to write in your fun and furry greeting card! I have recently had a number of people ask about funny messages or quotes to go inside our fun and furry greeting cards, it got me thinking...as awhile back a friend and I had sat down and brain stormed a few... So I thought I would share with you some of them. While on my lovely morning walk around Sydney park this morning, i noticed that the clover flowers were out! So for some reason I sat down beside a patch and started looking for a four leaf clover after a few seconds I found my first one! Yey - I still have the eye for finding them. However I not only found one, within a few minutes I had found three...Must be my lucky day! 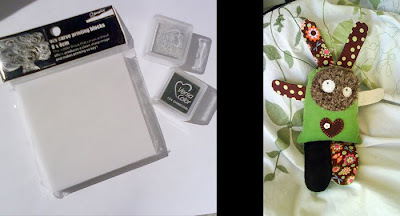 I have stuck them into my creative journal and saved this date!...Wonder what luck it will bring! 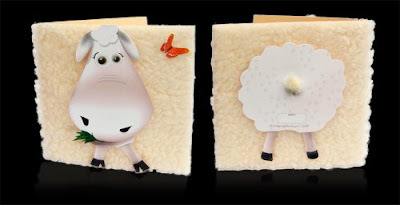 The run down of the craft show …from the sheep lady! How do I sum the show up in just a few words? Wow! Fantastic! Great exposure, Exhausting! 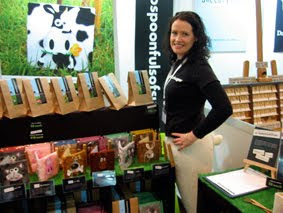 It was my first big craft show – so the support and feedback was mind bogglingly awesome! I met some fantastic inspiring crafters and designers. I have to thank everyone who helped/supported me through this journey also my helpers over the 5 days; Scottie, Bianca, Brya and Jess – I defiantly could not have been running my workshops and sharing the smile upstairs at the stand at the same time. Your helping hands and happy faces were so appreciated! Thank you, thank you, thank you. I made a video, but here are a few snap shots in the mean time! I did not get loads of pics , but met some lovely people in the incubator area. Here are a few pics of surrounding stands. Claire of Craft Schmaft – with cute owls and monsters made out of socks, it was also nice to put a face to the name behind Dear Fii (Fiona) and Justine of Mix Tape zine. Yum, those ice cream's looked delicious! So that just about wraps it up. But before I sign off I wanted to share with you what I treated myself with. I feel like a little kid just before christmas! I feel like a little kid just before christmas! I'm getting all excited already, to find new bits'n'peices, meet new friends and to think I will be surrounded by other amasing talented crafters and designers - the creative vibe is going to be awesomely addictive! 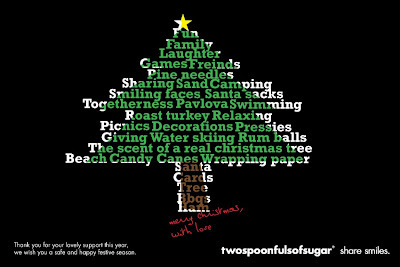 I've just created a twospoonfulsofsugar facebook page, so that we can share the things in our life that make us smile. Share something nice someone has done for you...or what lil thing makes that smile appear on your face. Please become a fan of the page and share with your friends! It's all about sharing a smile you know! 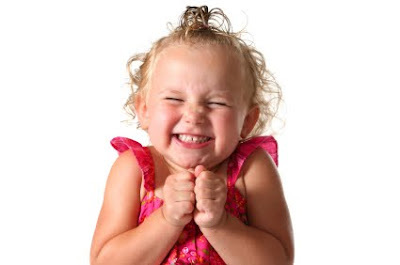 To be in the draw send us an email before the 7th August 09 and tell us, which tickets you would like to win and in 40 words or less what makes a smile spread across your face! Along with your full name, age, address and phone number. The winner will be notified by email or phone on the 8th August 09 also announced here on our blog. Tickets will be posted out the following week. So you have them in plenty of time before the show! 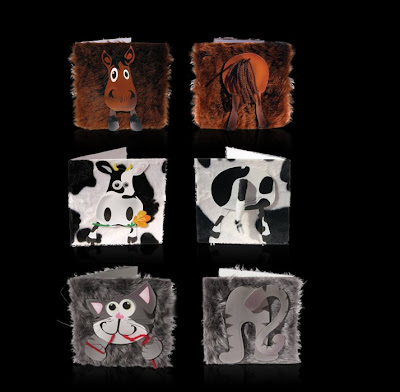 Whats New at Living Creatively..its Fritz! Wahooo! Fritz is featured in Living Creatively - Whats New pages! I've just been twittered these awesome reasons to smile. 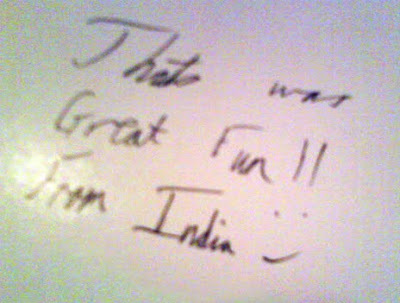 Thanks Patrick for the smiles! I wanted to share some below.... also view the rest of Patricks "smile" collection here. Smiling is a tool you can use at any time, because: the most powerful single thing you can do to influence others is to smile at them! When someone is smiling they lighten up the room, change the moods of others, and make things happier. A smiling person brings happiness with them. Smile lots and you will draw people to you! Next time you are feeling down, try putting on a smile. There's a good chance your mood will change for the better. Smiling can trick the body into helping you change your mood! Nibbles is the first Sheep to jump over the fence! A very exciting press check this week. 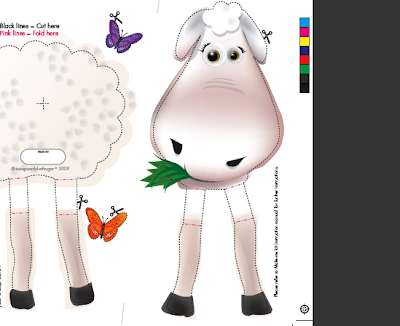 As Twospoonfulsofsugar's newest character Nibbles the sheep was getting printed! I have just today been making her up just to see if she is good enough to share with you all. Here is the very first one! So this is her! She looks a little cheeky as she likes to nibble on things she's not meant too! How can you resist those green eyes and those big eye lashes! The butterflies sure like her, so she must be sweet! What do you think? 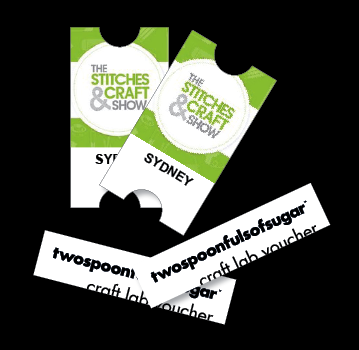 Twospoonfulsofsugar is running daily craft lab (workshops) at the Sydney Stitches and Craft Show! See below for our craft lab information, also click here to see the other workshops on offer! 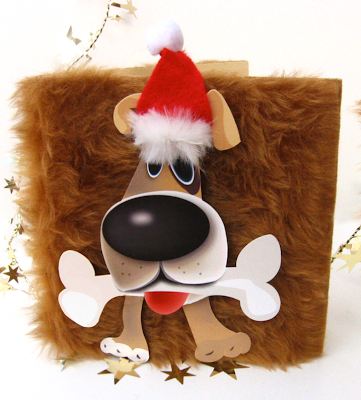 Cut, paste and glue your imagination to a fun and funny handmade ‘by you’ greeting card. Choose your own animal design from one of Twospoonfulsofsugar’s three all included make-me kits. Class suitable for all ages. With only 6 weeks to go until the Stitches & Craft Show I'm working hard making up kits and cards. And so excited our "new character" finally after all this time goes to print next week! Don't forget to come and visit us at the show! I have to share this with you, last night I was invited to a gig with my friend! Never heard of the artist before, But I'm always up for something new and inspiring! 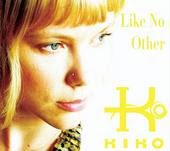 WOW I am so glad I did go, I discovered a new favourite to add to my music collection KIKO, I'm having trouble thinking of words to describe. I'm no muso! But definatly worth seeing. On their website it says "Raw, rare and full of flavour, Kiko enchants you with a sound that is remembered in your body and registered in your soul." Explains it really! Lovin her newest song - A smile is your friend! Well worth it! As much as I love designing fun and funky things I SO appreciate talented designers, crafters and artists...After a morning filled with cutting up meters of faux fur for my make me kits for the Stitches and Craft Show. This afternoon a I got a wee bit side tracked from the prep, and immersed myself in inspiration.... 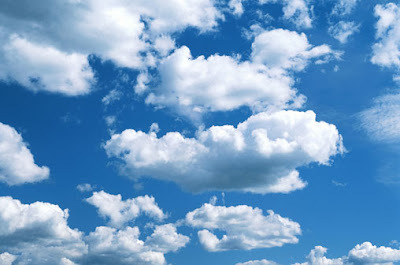 I just kept finding new and exciting blogs of some funky, cute and "smiley" stuff, where has the afternoon gone! There are some VERY talented individuals out there! Check out the jarsofcute blog! So Cute! endemicworld some nice design at dirtymouse and we all love madeit! 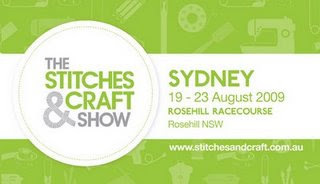 I'm pretty excited to report that Twospoonfulsofsugar has been invited to exhibit at the Sydney Stitches & Craft Show in the new "Incubator section" this year! Scary but so exciting at the same time....The last two days I've been madly creating my to do lists in preparation for August and can't wait to "hopefully" launch some new and exciting make-me kits. I'll be posting news about my preparations and special show promotions in the weeks to come... I hope to see some of you there! Its defiantly going to be a show not to miss for all us indie crafters out there! Thoughtful treats for Mum this mothers day - that dont cost lots! Our aim is to make mums day special and we can do this by being really thoughtful, caring and making her day as relaxed and enjoyable as possible...it doesn't need to cost lots...Here are a few things that I've found make my mum smile...Maybe they'll make your mum smile too! Give her Flowers - Pick your own flowers out of the garden and then arrange them in one of mums nice vases or find some flowers that are in season (they are always cheaper to buy if they are in season!) 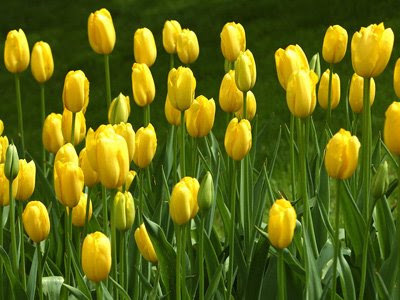 Flowers that are in season at the moment (NSW, Australia): Tulip, hyacinth, daisy, daffodil, camellia, azalea, sweet pea, rhododendron, jasmine, flannel flower, magnolia, lilac, lily-of-the-valley, primrose, mimosa, jasmine, buttercup, marigold, lavender, lilac, Cornflower, forget-me-not, bluebell.... just to name a few! 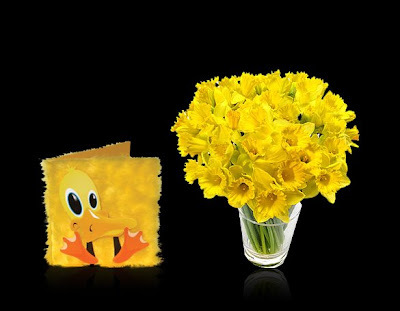 Make her breakfast in bed or morning tea - and put one of the flowers you picked through the handle of her cup! 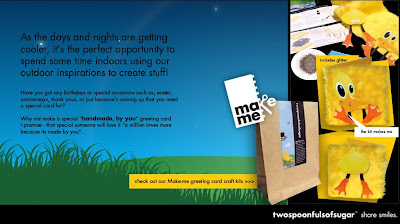 Make her a "handmade by you" card! - Write some nice words inside about why you love her...She will treasure it forever....and she'll love it a million times more because its made by you! I promise.